Mates were coming over to drink all the IPAs I brought back from California, so I cooked up a huge batch of Smoked Porter-brined flank steak. 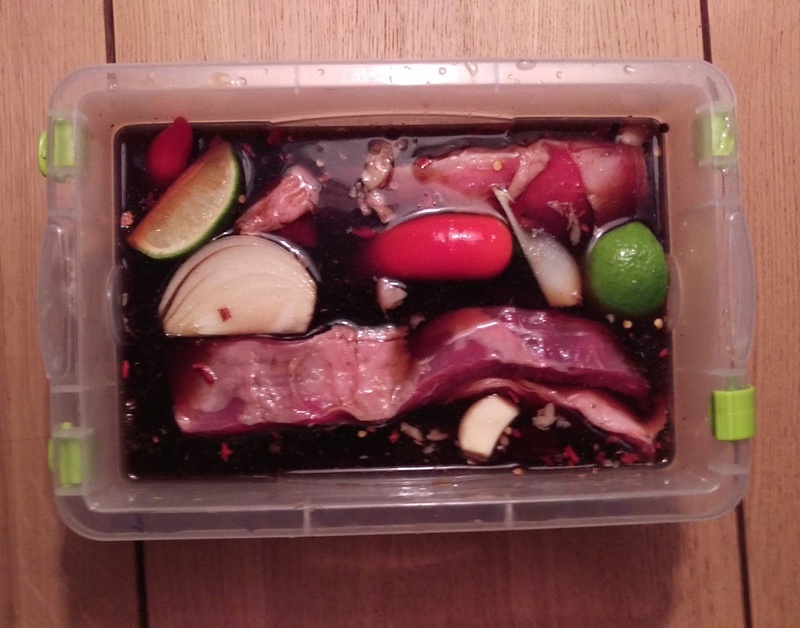 Brining, I have learnt, is an incredible way to cook with beer, leaving beer-infused food that’s brilliantly tender, where the sugar-salt combo does magic things to meat. I used BeavertownSmog Rocket in these tacos. And I serve them with traditional California toppings of salsa, onion, coriander and lime. 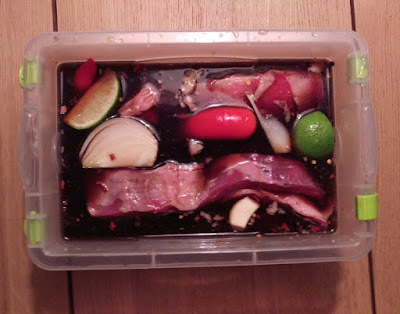 In a large plastic container with a lid, mix the beer, salt and sugar until combined. Add the meat then the other ingredients. Top up with cold water until all the meat is covered. Place the lid on the container and put it in the fridge for 8-24 hours. When you’re ready to cook, remove from the brine and dry on kitchen paper (discard the rest of the brine and ingredients). Slice thinly and then fry or grill on a high heat in olive oil for a few minutes. Buy them – I use Cool Chile – or make your own as they’re really easy. You can also make them with beer: 250g masa harina, 330ml of beer and a pinch of salt. Mix it together into a dough, wrap in cling film for 15 minutes, unwrap, cut into small balls and roll into tacos about 3mm thick (even better, use a taco press) then fry in a dry pan for 30 seconds on each side. Roast all the ingredients (apart from the beer) at 200C for 20 minutes. Put in a blender and whizz until smooth. Add a splash of beer, if you like, then check the seasoning (I also add a squeeze of lime for more acidity). 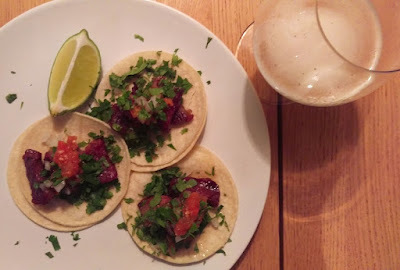 To serve: stack two warm tacos (always two), place meat on top, add lots of fresh white onion, finely chopped coriander, a spoon of salsa and a big squeeze of lime. 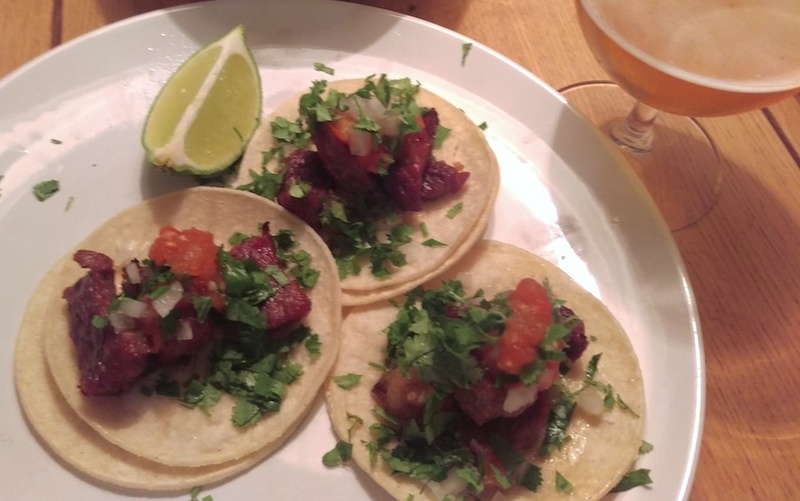 These are great served with smoked porter as well – that beer loves the meat flavour and can handle the lime and spice. The meat for this was provided by Simply Beef and Lamb and it was genuinely some of the best English meat I’ve tasted. 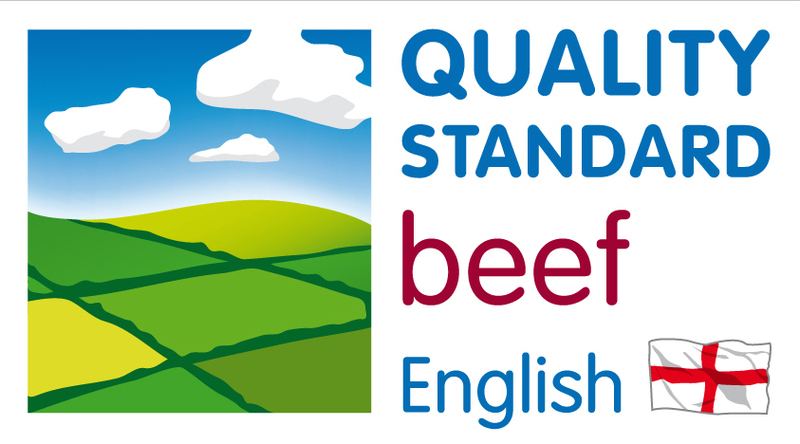 Look for the Quality Standard Mark in independent butchers and selected supermarkets to be sure that the beef or lamb is quality assured and responsibly produced by people dedicated to producing great food.